If you've always wished you could have a winter vegetable patch to carry you through until spring, you'll appreciate this interview with gardening expert and author, Barbara Damrosch. 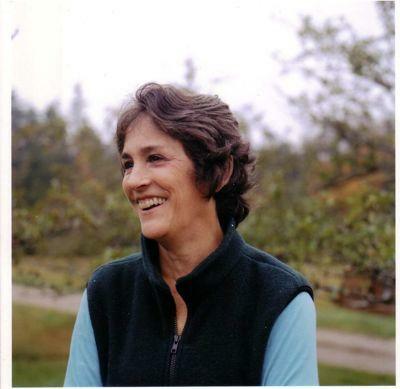 Barbara owns and operates Four Seasons Farm along with her husband Eliot Coleman. Their television show, Gardening Naturally, introduced many to the joys of organic gardening when it aired from 1993 to 2003. Today they grow a variety of crops all year round on their farm, even during the cold Maine winters. LoveToKnow (LTK): Is winter gardening a new concept? Barbara Damrosch (BD): Gardeners have always been eager to extend the growing season. In Ancient Rome, cold frames were constructed with mica lids that would let the sun in to warm the soil, but keep its heat from radiating back into the sky at night. Modern cold frames are updated versions of these that substitute glass or rigid plastic for mica. It's such a simple idea: just a bottomless box on the ground with a transparent lid that can be opened to harvest, weed, or let out excess heat. Some people use salvaged storm windows for this purpose, which cuts back on the cost. Winter greenhouse designs also go way back. The Victorians, in particular, put them to excellent use. Some were extravagant, heated glass palaces; others were more workaday affairs, but they greatly enlarged the repertoire of winter food. LTK: Is winter gardening something reserved for zones 7 through 10? BD: Definitely not. My husband Eliot Coleman and I raise winter vegetables about two thirds of the way up the Maine coast, in a Zone 5. Winter temperatures here can drop as low as -20F. In the 1980's, Eliot produced similar results in Vershire,Vermont, on an even chillier Zone 3 site, with a high elevation. I figure, if he could do that, anyone can! LTK: How can someone garden in the colder climates during the winter? BD: First of all, by choosing crops that like to grow in cool weather. There are many more than you might think, especially greens and hardy root crops. Most of these actually grow better and taste better when it's cold. The second strategy is to use crop protection structures -- as simple and inexpensive as possible -- to create a milder climate if needed. A cold frame is an obvious choice. You could also put together some "quick hoops," like the ones White House staffers helped Chef Sam Kass install in Michelle Obama's kitchen garden. The Johnny's Selected Seeds catalog provides construction advice and materials. A modest home greenhouse is also very handy to have. By capturing more warm air it gives a bit more protection. You can even put cold frames, or floating row covers supported on wire wickets inside the greenhouse. This gives you a double layer of protection. By using row covers inside our plastic greenhouses, we are able to grow most of our cold weather crops without supplemental heat. LTK: Is a greenhouse required for winter gardening? BD: Not at all. In zones 7, 8 and 9 you can grow many crops, such as spinach, kale and carrots outdoors with little or no protection. Even in Maine we have had carrots and spinach, in winter with only a cold frame. And parsnips always survive the winter in the ground, unprotected. LTK: What are some fail-safe winter crops? BD: In addition to spinach, mâche and claytonia (miner's lettuce) are super-hardy greens. The dark red foliage of Bull's Blood beet, grown at baby leaf size, is also quite rugged. Others that may need a bit more protection, or even supplemental heat in the coldest zones, are arugula, baby leaf lettuce, frisé endive, baby chard, and most of the Asian greens, especially tatsoi and mizuna. Most winter greens are hardier at baby leaf size than they are as whole heads, and work great as cut-an-come-again crops. You'll often get several cuts off of one planting, as they re-grow. Fresh-dug root crops are also a wonderful supplement to the root cellar. In addition to carrots and parsnips, we harvest leeks, radishes, scallions and baby Japanese turnips such as Hakurei in wintertime. LTK: How should the winter garden be prepared and maintained? BD: The soil should be prepared like that of any garden, with plenty of organic matter for fertility and good soil structure. Crops are planted beginning on about September 1 (October 1 in warmer climates), so they can grow in the cool fall days to reach harvest size by winter. Basically you are just harvesting these crops in winter, not growing them. Since everyone's climate and soil are different, and the behavior of different crop varieties can be unpredictable, you'll find it takes a year or two of trial and error to come up with your own planting timetable for each winter crop. Don't hesitate to sow new crops when old ones are harvested. With protection, these will start to pop up and grow as soon as the days start to lengthen past 10 hours of sunlight. During the coldest months, there is little or no need for weeding or watering, and few pests. LTK: What concerns should winter gardeners keep in mind? BD: The most common danger, oddly enough, is overheating the crops. Most will take some degree of frost, but will not recover after being "cooked." Both cold frames and greenhouses need venting mechanisms. Automatic ones are the most useful, but if all you have is a notched stick to vent your cold frame, be sure to prop the frame open at least a crack, if there is any chance the sun will come out and raise the temperature past 75F or so. Don't try to grow fruiting crops such as tomatoes, summer squash or peppers in winter. Protective devices will get a jump on them in spring, or extend the harvest into fall, but winter hothouse culture in most climates is very expensive. LTK: What else would you like to share on winter gardening? BD: The most wonderful thing I have learned from winter gardening is the joy of eating with the seasons. I don't want a tomato in January, I want sugary carrots and a crisp, calcium-rich salad. Right now I'm enjoying beautiful heads of escarole, touched by frost. In early summer I'll go mad for the first peas, and in late summer the first melons. Waiting for all of these sharpens the appetite, and adds up to a long, delicious year. These books will help even the most inexperienced gardeners see success in their gardens. LoveToKnow would like to thank Barbara Damrosch for showing us how having a winter vegetable patch is easier than expected.